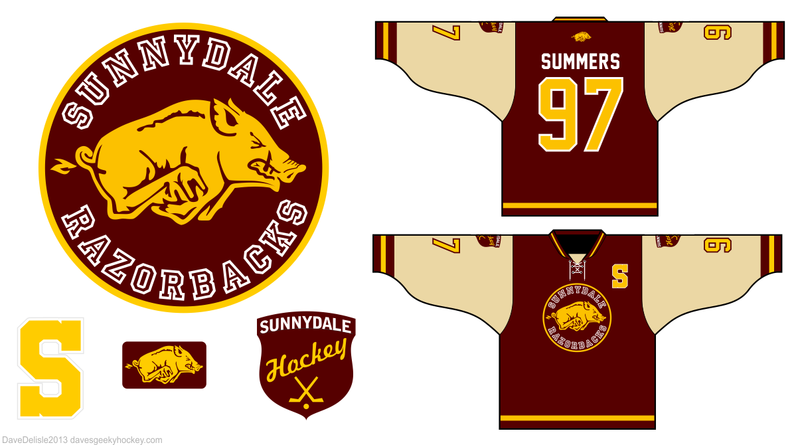 Posted on April 16, 2013, in Geeky Jerseys, Hockey Jersey Design and tagged Buffy THe Vampire Slayer, davesgeekyhockey, Geeky Hockey Jerseys, Hockey Jersey Design, Sunnydale Razorbacks, Whedon. Bookmark the permalink. 4 Comments. You are 100% incorrect. This is not the Arkansas logo, but the one used in the show. Same general idea between the two, but in no way identical. i want this!!! i want to know the second its avalible to buy.